Historically, the need for air-conditioning arose from the need to preserve foods and prevent their easy spoilage. With bacteria growing freely at room temperature, the need to keep food at or below 4 degrees Celsius became apparent. invented the first electrical air conditioner. Inspired by the need to improve the manufacturing process of a printing plant, Carrier found that air conditioning, through temperature and humidity control, maintained consistency of paper size and ink alignment, thereby improving efficiency. The Carrier Air Conditioning Company of America, named after and established by Willis Haviland Carrier himself, still operates today as the biggest manufacturer in the industry. Carrier still operates with a heavy focus on bettering workplace productivity. 1820- First successful experiment creating ice artificially. 1824- Principles of absorption for refrigeration discovered by Michael Faraday. 1834– The first machine to manufacture ice artificially, was invented by Jacob Perkins. This led to the compressor systems we use today. 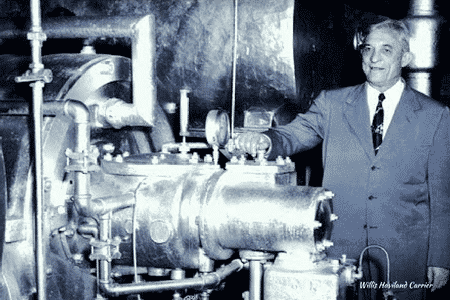 1902– Willis Haviland Carrier invents the first air conditioner. This is the first time people are able to take control of temperature and their surroundings. 1906- The term “Air Conditioning” was coined by Stuart W. Cramer and was later adopted by Carrier. 1913– Chicago hosts the first international refrigeration expo. 1928- Thomas Midgley, Jr. discovers Freon refrigerant. 1930- Air conditioning is installed in the White House in Washington D.C. USA. 1946- The increasing demand for room air conditioners leads to the production of 30,000 units in this year. 1953- A key milestone in the history of air conditioners is reached, sales exceed 1 million units. 1953– The formation of the Refrigeration Equipment Manufacturers Association and The Air-Conditioning and Refrigerating Machinery Association occurs. 1957– The development of the first rotary compressor allows air conditioning units to be smaller and more efficient. 1977- The first dual heating and the cooling machine is invented after the development of heat pumps. Conveniently, the same air conditioning units can be used to cool during summer and heating for the winter. 1987– In Montreal, Canada, the Montreal Protocol is signed to protect the Earth’s ozone layer. This protocol is an international cooperation determining the phase out of CFC refrigerants used in HVAC equipment. 1990– Microprocessors are introduced to control systems in all areas of refrigeration and air conditioning due to the convenience of semiconductor technology. 1992- Alternative refrigerants to R-502 and R-22 begin to be found by the Alternative Refrigeration Evaluation Program (AREP). 1997– The signing of the Kyoto Protocol to protect the earth from harmful greenhouse gas emissions. 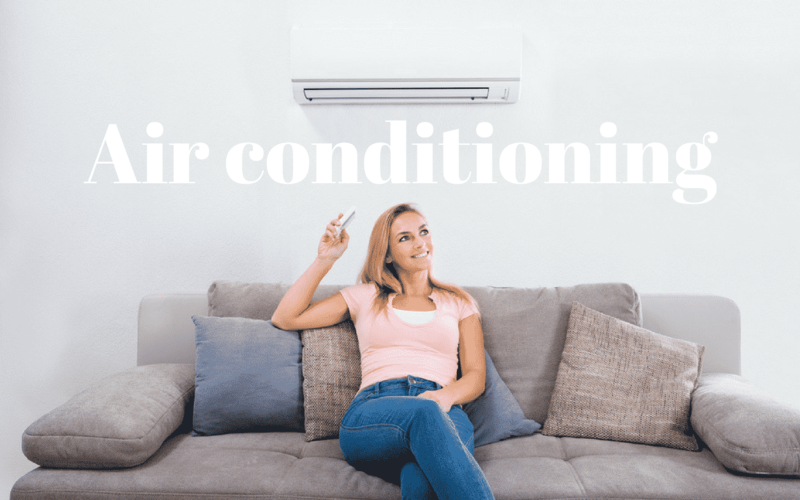 If you are looking to invest in an air conditioner for home or business, or you have refrigeration needs, contact the experts at Clements today on 4932 3833. We can help you find the best options, keeping energy efficiency in mind.